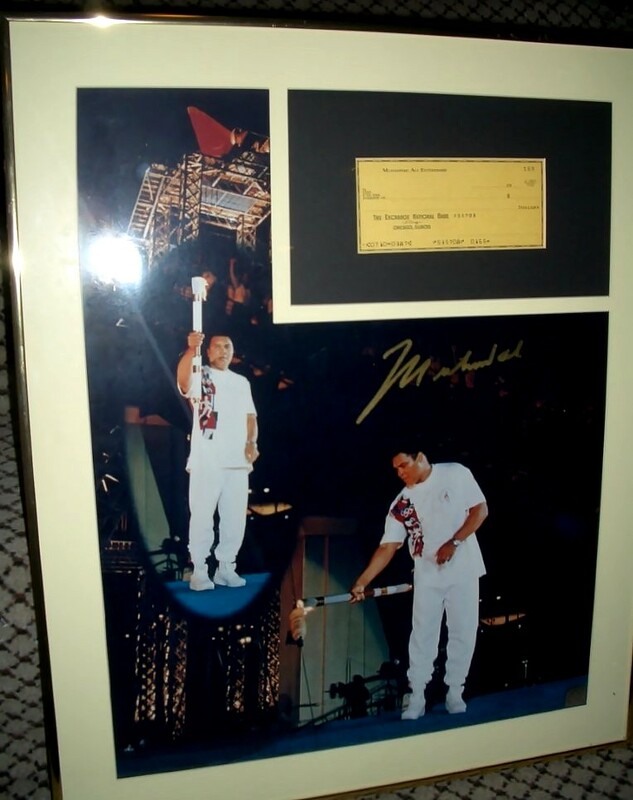 16x20 inch poster size photo of legendary heavyweight boxing champion Muhammad Ali lighting the torch at the 1996 Atlanta Centennial Olympic Games, autographed by Ali in gold paint with a large, fully legible signature that he can no longer sign today, professionally matted with a blank Muhammad Ali Enterprises check (unsigned) and framed, ready to hang. 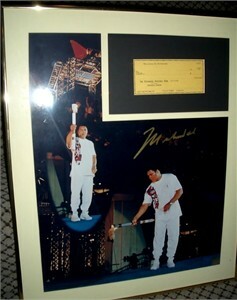 Numbered limited edition of 1996. 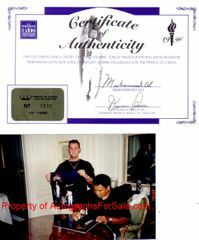 From an August 1996 paid signing in New York City with Prince of Cards, with their certificate of authenticity, photo from the signing AND a DVD with video footage of the signing. ONLY ONE AVAILABLE FOR SALE.